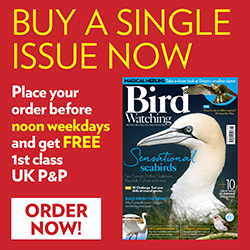 I first heard about Birdlife in Bird Watching Magazine. Birdlife Malta monitors migration during spring and autumn, and relies on volunteers in order to maintain a presence to deter hunters from shooting species migrating through the island. This year the spring hunting season started on April 13, for two weeks, and as usual the legal species were Quail and Turtle Dove. The main issue in the past has been that hunters ignore the rules and shoot anything from Montagu’s Harriers to Purple Herons, Ospreys to Cuckoos. I was later to find out that the lack of legal species, potentially due to over-hunting, is one of the main reasons for this. I booked my flights to Malta on the back of hearing about the massacre of a large flock of Spoonbills sheltering from storms on the island early in 2011. In the past I’ve had little experience of conservation, apart from working at a wildlife rescue centre near Knutsford, and I was confident my trip to Malta wouldn’t involve the feeding and care of Woodpigeons and Collared Doves! Due to the fact I recently got engaged I wasn’t looking forward to spending a week away from my family, and after receiving the introduction pack containing an itinerary full of 5am starts, I boarded the plane with a very negative attitude. I flew out on the afternoon of the 12th, and the couple I was sat next to were a little over-eager to wake me at any opportunity to offer me crisps and peanut-butter sandwiches and ask about my religious beliefs (they were Mormons). But giving up any chance of sleep did have its benefits, as I was reminded just how little the general public are aware of the hunting issue. Neither of my aircraft neighbours had heard of Birdlife or the slaughter, even though they were regular visitors to the island. Once I’d explained more, they were appalled and said they’d be writing to their MP to get him to put pressure on the EU parliament to get the outstanding case resolved quickly. Having landed, I found my transfer in the form of a middle-aged taxi driver. I quizzed her about the people she’d picked up in the last couple of days and was surprised to hear there were a great variety of nationalities and ages represented. I also asked about her beliefs on hunting and got a slightly unconvincing response that she liked to hear the birdsong in the morning and was against hunting. I arrived at the four-star hotel at about 9pm, and met the other volunteers in the bar, and was very surprised to see there were a number of people around my age. There was a real buzz about, with volunteers discussing the day’s sightings and how accurately one member of the group could recreate the call of a Night Heron he’d heard that morning. It also became apparent that not everyone was a birder, and that there were absolute novices present who were regular volunteers with experience of a wide range of conservation projects. Regardless of the mix of nationalities (there were Polish, Dutch, German, Finnish and Bulgarian) everyone was very friendly and it was easy to integrate myself into the group, though my knowledge of European species is a little questionable at the best of times! I decided not to go out at 5am the next day in order to recover from my travel. Come the afternoon, though, I was allocated to a team and off we went under warm sun and blustery wind to a notorious hunting spot relatively close to our hotel. I was surprised that the first afternoon was so quiet and peaceful, but the sheer number of shotgun cartridges littering the countryside along with the large number of home-made bunkers was a harsh reminder of what went on on a regular basis. I found out that hunting had to stop before 3pm during the week, and that this was shortened to midday on the Saturday, with hunting forbidden on Sunday. That afternoon I saw my first lifer – a Montagu’s Harrier, soaring 20ft or so overhead trying to catch a thermal. Given how quiet the afternoon was, we drove on to other locations in the north of the island, but thankfully there was very little activity and only a few shots were heard. On our return to the hotel we were reunited with the other teams, and a lot of excited chatter ensued detailing what illegal activity had been caught on camera or observed. It transpired that a hunter had been spotted in one of the nature reserves (this is strictly illegal) and that he had run off as soon as he realized he was being filmed. Another team had filmed an injured Purple Heron flying north with a dangling broken leg, most likely shot that morning. Another team noted the first Golden Oriole of Springwatch 2011, plus a group of Bee-eaters and a pair of Pallid Harriers (Europe’s rarest raptor). The final team had not returned to the hotel as they’d seen a group of Marsh Harriers fly into a field to roost, followed by a number of shots. The team did a great job of staying through the night to ensure no ‘lamping’ occurred. This is when a hunter wanders through the field with a flashlight or lamp, and when they come across a bird shine the lamp on it. Since it is against the bird’s instincts to fly at night, it will just mantle its wings, and the hunter shoots it at point blank range. Unfortunately this happened in one farmer’s field last year, where around 40 Marsh Harriers were found buried. The next morning, unfortunately, one of the Marsh Harriers was seen to be shot down by a hunter. After such a dreadful start to the day, the mood was lifted by the largest flock of Squacco Herons ever to land on the island. I was fortunate enough to see them fly past and even from across the island it was quite breathtaking. Given the number of birds at risk, a nightwatch team was posted to protect them, but fortunately they’d decided to roost along with some Little Egrets at the foot of a cliff and the team only had to worry about an attack from the sea. Since none of the birds were seen leaving the roost it was assumed they’d continued on in the early hours before dawn. In the following days high winds brought in huge numbers of raptors, including Marsh Harriers, Pallid Harriers, Montagu’s Harriers, Hobbies and Eleonora’s Falcons. A large number roosted in wooded areas and a nature reserve in the north and I volunteered to go out on my first nightwatch. I was accompanied by two friendly young Maltese volunteers, and we spent an interesting night sitting out on a limestone pavement overlooking the wood and surrounding fields. It was strange, as part of me wanted something to occur – daft given the point of my visit. Unfortunately, at around 11pm, something did and we heard three or four shots being fired from the wood. The second nightwatch team was situated in there, only about 100 yards from where the shot was fired, and immediately called the police. Predictably, no one was caught and once the police had attended, things were very quiet so we returned to our beds at about 1am. The most difficult thing about Malta seems to be the evidence needed to convict poachers and the fact the police seem very hesitant to act. It’s easy to imagine that on such a small island, policemen may have friends or family who are poachers and any action taken may isolate them from the people they hold dear. It could be even more extreme – one policeman was caught poaching wearing a balaclava. Apparently he was dismissed, but returned a year later. Also, due to the fact that the Maltese elections are so finely balanced, the FK&K (hunting federation) and its 6,000 or so members can sway the result one way or another. Springwatch efforts resulted in the confiscation of 50 or so guns from poachers, just for the Prime Minister to meet with FK&K representatives and subsequently put pressure on the police to return the weapons, carried out while we were still there. During my last couple of days there were a couple of scuffles, mainly involving hunters and the Maltese volunteers, but Birdlife have hired a security team throughout Springwatch 2011 as a rapid response for any violent encounters, and at no point did I feel at all threatened or unsafe. While I was waiting around on my last day I mulled over what I had taken from the whole experience. I had been well impressed by the dedication and bravery shown by the Maltese coordinators and volunteers. At the end of the day I was able to fly home to a place where at worst my friends would playfully mock me for making the trip, whereas the Maltese volunteers and their families are ruthlessly targeted by hunters for standing in the way, having their crops burnt or their wells oiled. I really did feel like my presence, along with the camcorders that we used to record footage of migrating birds, was a real deterrent to the hunters. I was able to see a number of lifers and draw on the experience of top-notch birders from around Europe, all on a shoestring. It cost £400 including food, which although a little monotonous at times was good and solid. It was also a great opportunity to meet a number of volunteers from different countries. I also feel I have made an effort to maintain our heritage. It’s so easy for everyone to think that the RSPB, European Courts or someone else will sort out this problem but in the meantime the Maltese are shooting OUR birds, so in not doing anything we are going to deprive ourselves as well as our children of the right and the opportunity to see birds like Montagu’s Harrier, Spoonbill and even Marsh Harrier. You could also ask yourself the question: “When was the last time I saw a Cuckoo or a Turtle Dove, and why is that?” It seems a great shame that we’re doing great conservation work for birds like Ospreys here in the UK that are being shot on migration, and I would urge anyone reading this to take a week out this autumn or in spring 2012 to go and help.